Between 2013 and 2014, I went from being a poet who had published no books to a poet who has published two chapbooks and three full-length collections of poetry, all with different small presses. Why this all happened at once, I’m not sure. Synchronicity, or maybe I was paying for my sins in other ways. In any case, on this page, I’ve listed these books. They exist–hopefully worth the read and worth the beautiful dedication of the editors of each of these small presses–from Gabrielle David, of 2Leaf Press, to Andrew Saulters, of Unicorn Press. In May of 2015,Motels Where We Lived was noted as a finalist for the Maine Literary Awards, an honor. 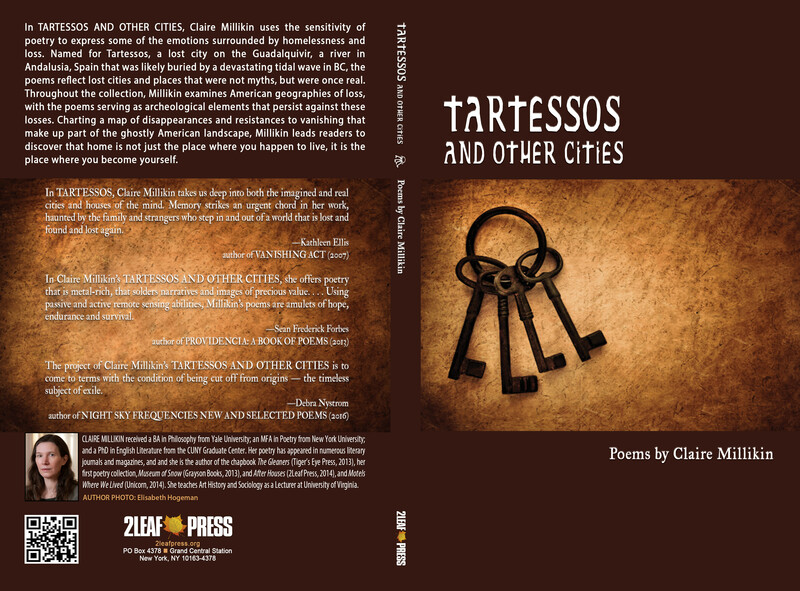 My forthcoming books of poetry, Tartessos and Other Cities (2Leaf Press 2016) and Television (Unicorn Press 2016) will be available in April and May of 2016. Motels Where We Lived is my second full length collection of poetry, published spring of 2014 by Unicorn Press, in Greensboro North Carolina. The book contends with what Wayne Koestenbaum calls ‘hotel theory’ not the theory of hotels, but a hotel called theory. The poems are places of the itinerant, the metic, the sojourner, the palmer. The poems invoke Francesca Woodman and Greta Garbo as their paradigms. In the spring of 2014, I also published After Houses Poetry for the Homeless. Museum of Snow my first book was published in the fall of 2013, described as a work of poetry that is “elegant, lucid, and stark.” I’m extremely thankful for the hard work that Ginny Connors, of Grayson Books, put in to helping me edit and shape my first full length collection of poems. The poems meditate on snow as a signifier of loss, and redemption at the edge of loss. in the water, where it divides. a piece of the sun driving toward the sun. men in their boats vanishing down the azimuth horizon. He forgot his daughters, and moved inland, carrying his box of papers. sunlight moving into the open of my skin. and men buried their plunder. and search all my life for what he took. I want it back. ocean wearing down the sea-walls. my shadow pulling down into depth. of skin, at the edge of third degree. holding close to the verge. 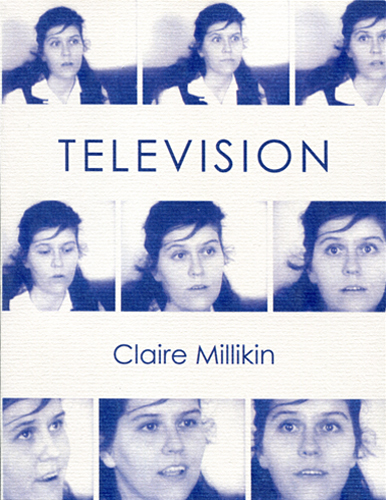 Claire Millikin is the author of the poetry collections Motels Where We Lived (2014) and After Houses: Poetry for the Homeless (2014). Her forthcoming collections are Television (Unicorn Press) and Tartessos and Other Cities (2Leaf Press). She teaches for the program in Art History at the University of Virginia. For the past couple years, North American Review has asked that I write a few guest blog posts on poetry, and I realized that there is something about this format–very short and self-contained–that works well with poetics. Poems have to do with how things end–how the line ends, the stanza, the time and pace of the work– poetry is only the place of endings. Paradoxically, the blog format is also open-ended, and that is also true of poetry. A poem is a thing that ends and does not end. Think of Emily Dickinson‘s apparently very compulsively written and then gathered, literally stitched together, stanzas that may or may not be separate poems. So, here I’ve gathered the blog posts that I wrote for North American Review, with the idea that in the coming year I will add to this section on poetics. Graham Greene, speaking in the person of the protagonist of the End of the Affair, describes book reviews that praise the author’s “craft” as accurately reflecting a book that is hollow, without soul or pulse. He goes on to say that exquisite craft is what’s left when an author’s soul is not in the work. And one can think of work by seminal American poets, Emily Dickinson and Walt Whitman as rather roughly crafted, misspelled, strangely thrown rhythms, eccentric rhymes. Or of Tennyson, whose ear has been considered too perfect but whose intellect, so we’re told, was lacking. And yet if one turns the mirror the other way, one can say that Dickinson’s and Whitman’s craft was—as contemporary poet Wayne Koestenbaum describes his method—reckless, a steeping and a disciplined forcing of the mind to go down to the depths. In fact, Tennyson’s In Memoriam is hardly a polished work of craft without soul, but an obsessive reiteration seeking the surface of implacable loss, rife with implausible contrasts and jagged imagery. The pulse of the work, as Nabokov used the term, is always below the level of craft, not to perfected but opened. And yet craft can be mistaken for the pulse. Craft mistaken for pulse is a kind of borrowed sorrow—poems that trade on cultural terms of grief and do not engage anything unique about the poet’s experience or knowledge. Such poems can be exquisitely crafted. But it is the crazed privacy of Dickinson’s “ample” bed that haunts us, the eerie personality of Whitman’s mourner—craft almost photographic in its play with chance. And hearing Dickinson’s poems—or those of Whitman, Tennyson, Koestenbaum—one knows that nothing has been honed away through craft. No, the lines have been lifted out of some personal depth, traces, cuneiform, wild. Privative surfaces pulling down the excessive mirror of craft. Elizabeth Bishop said she wrote poems not because she felt a special affinity with words but because she had a feeling of there being things in her head—objects in her mind—she wanted to write down. One can see how Bishop’s poems are not so much grounded in the real as rather illuminated and borne aloft by their weird conjunctions with things we might touch—maps, animals, a lost watch. This focus on objects makes her poems melancholy; the materiality of the poem is the place where it pulls away from what it could directly give us. In Bishop’s great sestina of loss we’ve lost the watch twice, once in the telling, twice in the being told. The poem moves away from us in precise words that make us long to touch just that watch. But if we found the lost watch what could be done with it but write a poem and thereby lose it again. When I first read Bishop’s vilanelle I had just finished a degree in philosophy and was meeting for the first time a boy—who would marry me a few months later—in a café. I was an hour late but he had waited with the book, used, hardback. Now that café, in our hometown, has been torn down, and the boy and I are divorced. But the vilanelle is still there pulling at the wristband of its watch. Materiality makes the marriage, between the word and the image that the right words will almost reach and almost tender. Materiality is the sacrifice—what you have to wait for—in the center of the poem. Sylvia Plath’s poem “Edge” is and should be notorious for its aesthetic theory: the poem states categorically that artistic perfection kills its creator and that only the death of the maker completes the work. The poem is notorious because Plath seemed to be in favor of suicide when she wrote the poem, calling not the poem but the poet “perfected” in death, and then, of course, she killed herself after writing the poem. But Plath’s “Edge” still makes a good point, of a kind. Any poem cannot be read all the way through, that is completely understood, until the circumstances of its writing, including the life of the poet from which it emerged, are set, done. Otherwise the work is in medias res, which has its own pleasures; to wit, the blog. I think that Plath’s poetry in Ariel succeeds because it is absolutely faithful to the concept of the edge. The edge is where the poem shows everything that is left out of the poem. Plath is supposed to be a confessional poet, but really, her work is anything but effusive, gossipy. Instead, her work is open to the limit, open to the space outside the poem that has to show the words as cuts, edges in some other surface almost impossible to see in its completeness. From Ariel, I like “Sheep in Fog” the best. It almost refuses its own presence on the page. Maybe it is a poem of exhaustion, but it accomplishes itself by the same code as the more famous work from the collection. It is Plath’s precise and, one feels, ineluctable knowledge of the edge—not death as a limit but the shape of formal meaning, the detail that cuts and in cutting shows some sublime distance from which it emerges—that makes many of her poems work, even despite their tendency to histrionics. I think about it all the time, or rather all the time I am writing. What is the word, the line, that cuts, that can show that edge?